Mountain bed and breakfast travel guide for romantic, historic and adventure b&b's. 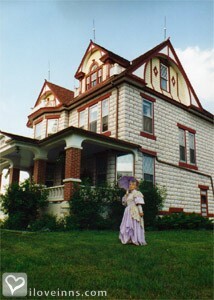 Browse through the iLoveInns.com database of Mountain, North Dakota bed and breakfasts and country inns to find detailed listings that include room rates, special deals and area activities. You can click on the 'check rates and availability' button to contact the innkeeper. Just by its name alone, one could already expect to see panoramic views in Mountain, North Dakota. This city in Pembina County happens to be near other towns and cities that also have many attractions in their respective areas. This is the reason why Mountain bed and breakfast inns are great choices. The best time to visit the city is in August, when it celebrates the Duece, an Icelandic Festival. Go to the Borg Pioneer Memorial Home, a historic site that pay homage to the early pioneers from Iceland. The 1888 Historic Vikur Church is another similar site, the first Icelandic church in the country. 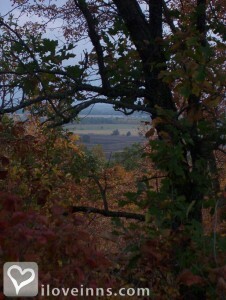 Mountain is also near to the forested hills of the scenic Pembina Escarpment. The Icelandic State Park is nearby. By 221 Melsted Place.